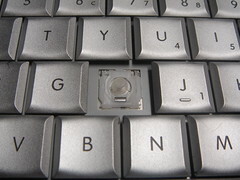 So I was typing away te oter day and I ad noticed tat my key was not attaced te way it sould be. I ad attempted to use adesive to attac te key again but it was not appening. opefully, I can get a replacement key as soon as umanly possible!